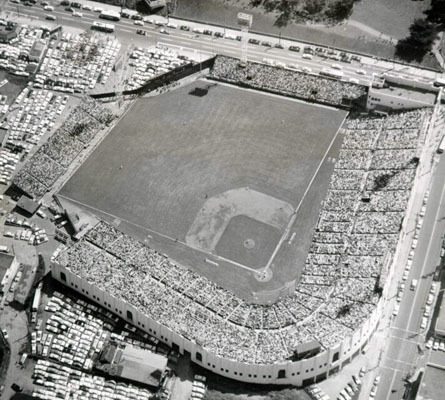 When the Dodgers and Giants moved west to California from New York after the 1957 season each team needed a temporary stadium to play at while their new stadium was constructed. 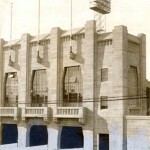 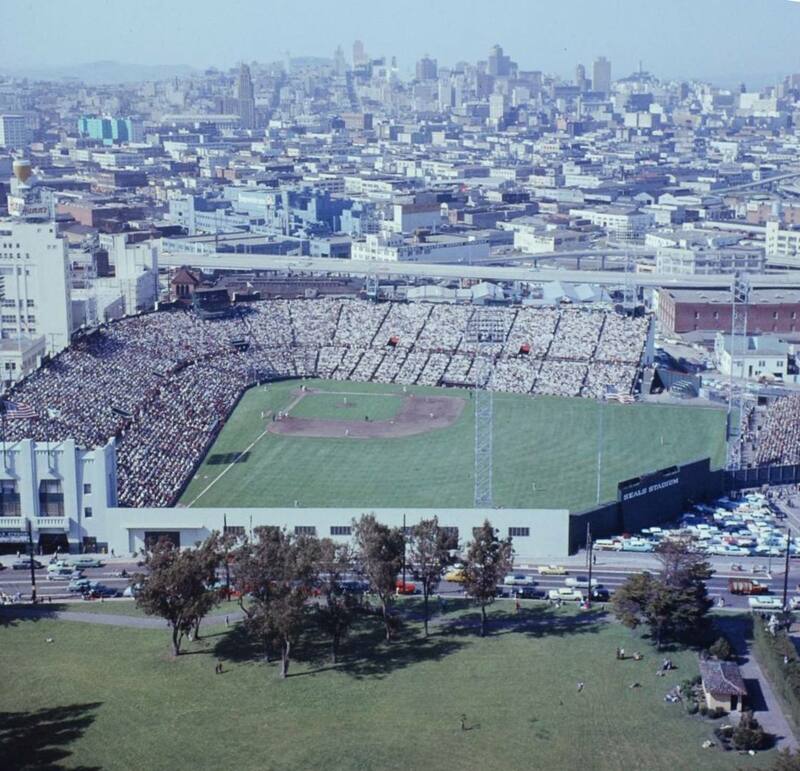 In San Francisco, Seals Stadium awaited the Giants while Candlestick Park was constructed. 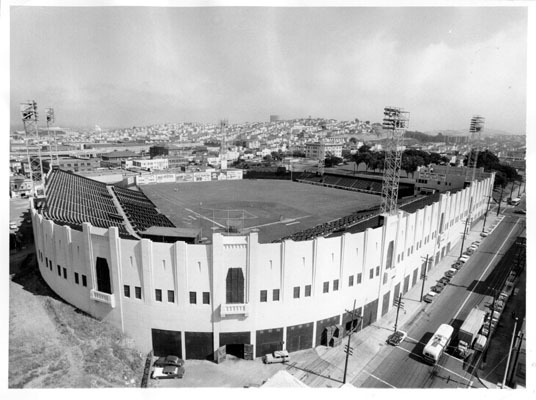 Seals Stadium was constructed in 1930 for the Pacific Coast League’s San Francisco Seals and Missions. 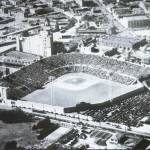 It replaced the 15,000 seat Recreation Park. 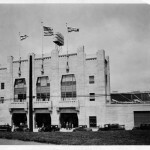 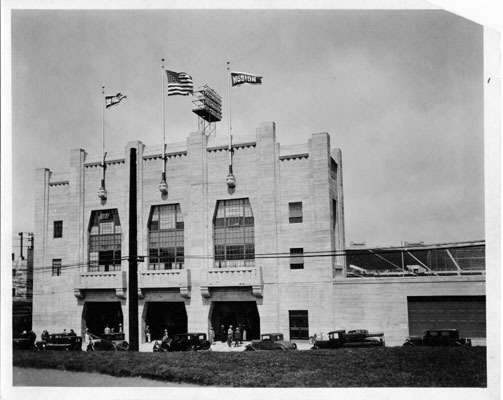 Built of steel and concrete, it had a capacity of 18,600 when it opened on April 7, 1931. 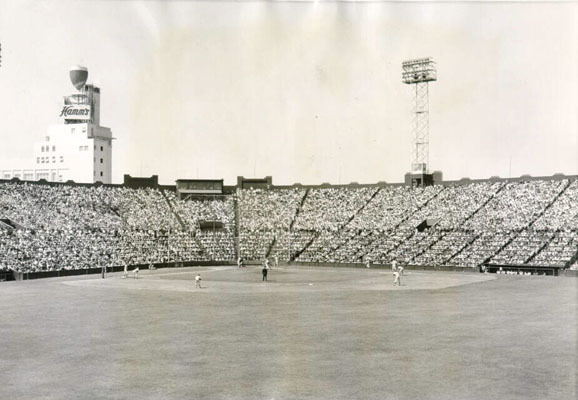 The grandstand extended down both the base lines with bleachers in right field. 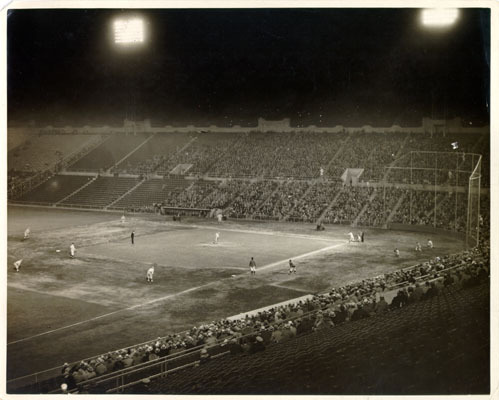 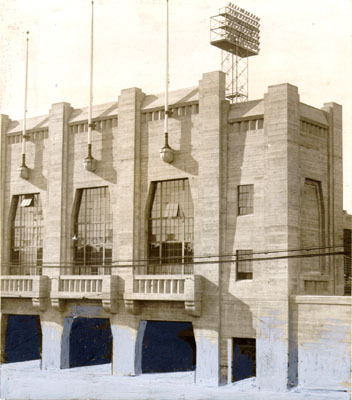 Seals Stadium had lights, but did not have a roof because temperatures were always comfortable and there was little rainfall in San Francisco. 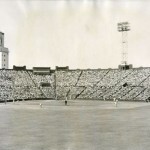 The scoreboard was in centerfield above the hitters backdrop. 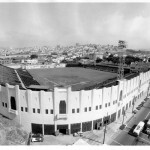 It had three clubhouses but only one was occupied after the Missions moved in 1937. 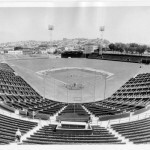 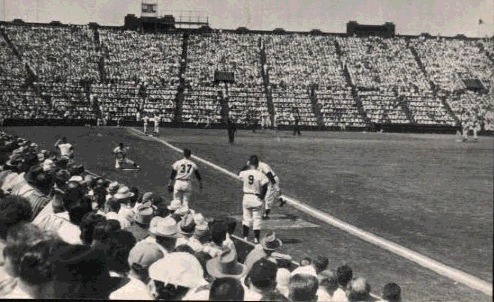 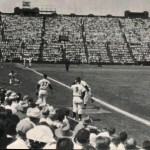 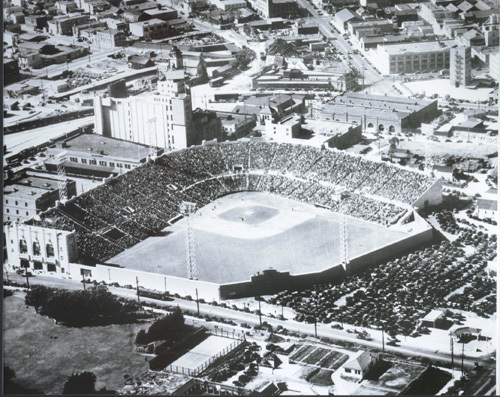 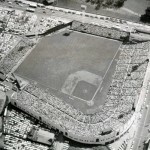 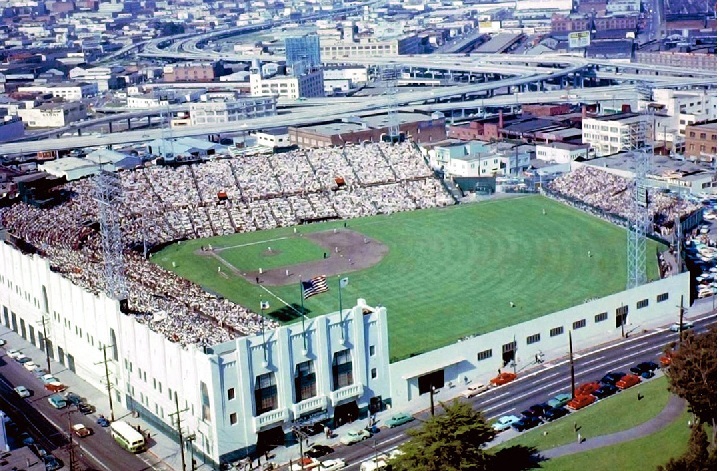 Seals Stadium became the temporary home of the Giants when they made their debut in San Francisco, winning their first game against the Los Angeles Dodgers on April 15, 1958. 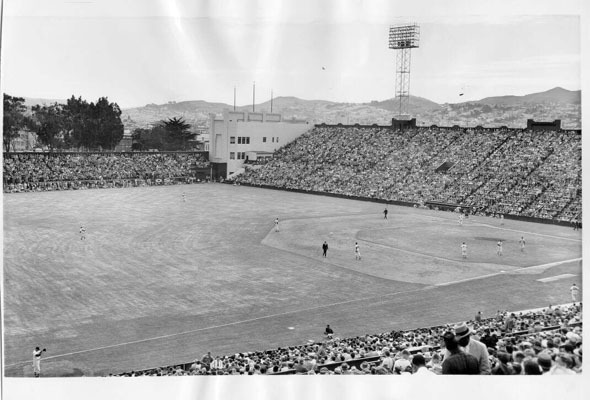 The stadium was the smallest in baseball at the time with a seating capacity of 22,900 as the Giants added 2,600 seats in left field. 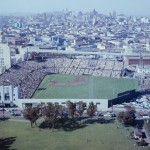 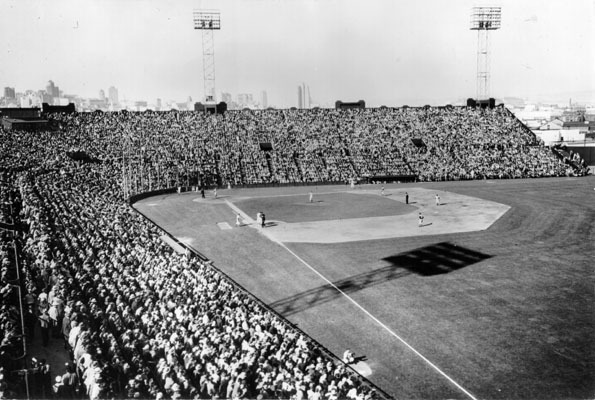 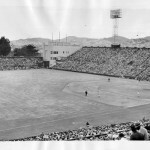 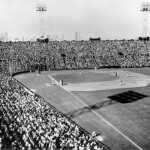 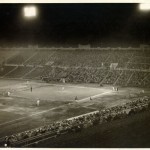 On September 20, 1959 the Giants played their last game at Seals Stadium. 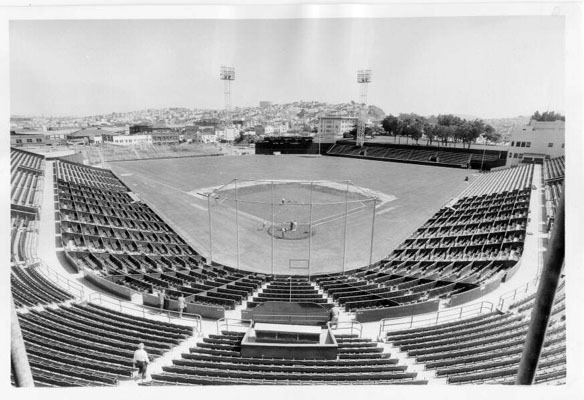 The following season they moved to Candlestick Park. 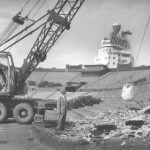 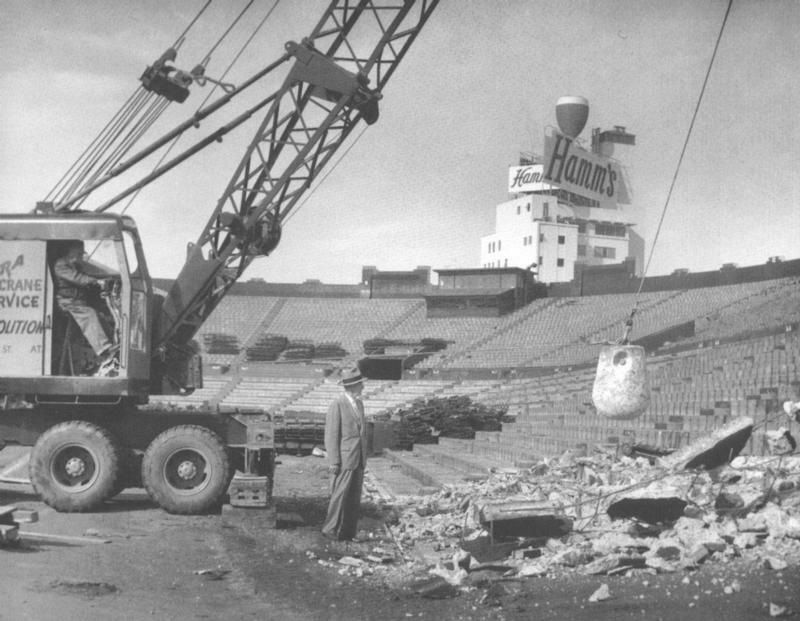 Seals Stadium was demolished shortly after the Giants left and is now the site of a shopping center. 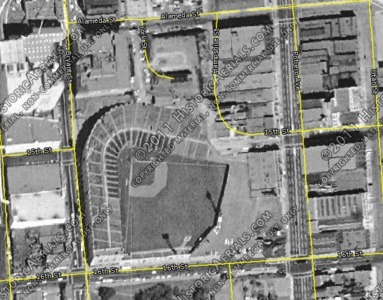 –Location: At the intersection of 15th and Bryant Streets.